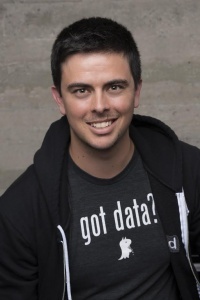 Adam Draper is no stranger to startups; he is a fourth generation venture capitalist. His experience in the financial world has helped sculpt his view of what it means to be an entrepreneur, and how a startup works internally. We are pleased to welcome Adam back to the VLAB stage as the moderator for “Young Entrepreneurs with Big Ideas” on January 26, 2016. In 2012, Adam Founded BoostVC, a unique incubator filled with the most innovative entrepreneurs, who are starting game-changing companies. As the Managing Director, Adam plans to fund 200 startups over the next three years. VLAB holds an annual event about young entrepreneurs, who are under 30. this year we have an exciting panel of young entrepreneurs who are making their big ideas into a reality. Come join us at SRI to hear about their experience as entrepreneurs who have founded growing startup companies.